a design in purple & gold created with a wedding or even blogger in mind. Creative & playful with a journalistic feel. Textured gray background & wider sidebar. Fun & playful design for the creative lifestyle blogger or vintage loving thrifter. 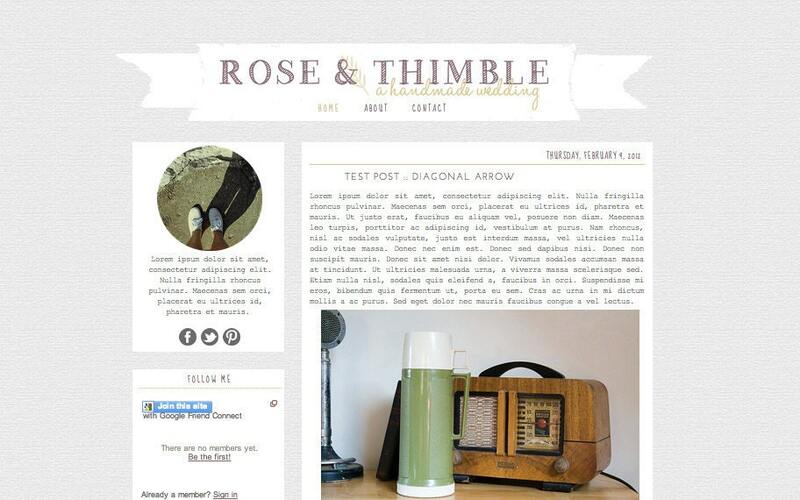 Big cursive header, separate post & sidebar sections with a pale chevron background. Great salmon, gold, & gray color palette. A polka dot & circus inspired design perfect for a creative family. All white background with confetti accents & cursive header in mint green. Accommodates four navigation links at the top & features pink outlined widget boxes. 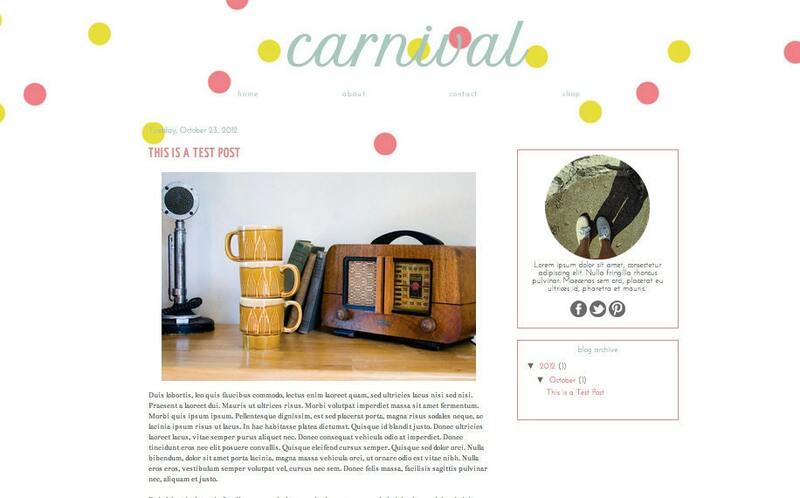 I've also been working on adding customizable bits to add to your blog purchase. Usually, a premade design comes as a package with the template, header, & social network icons. If you're interested, color upgrades are available too...but I wanted to add other ways to create an even more unique look with the premade designs. I've added a Welcome Banner Upgrade to add a matching welcome image to give your design a bit more personality & match the design perfectly. More elements - banners, titles, clip art, etc - are in the works! These are the welcome banner examples for the Ahoy There design, Hello Dotty Design, and Rose & Thimble Design but any template in the shop can have an awesome welcome banner! 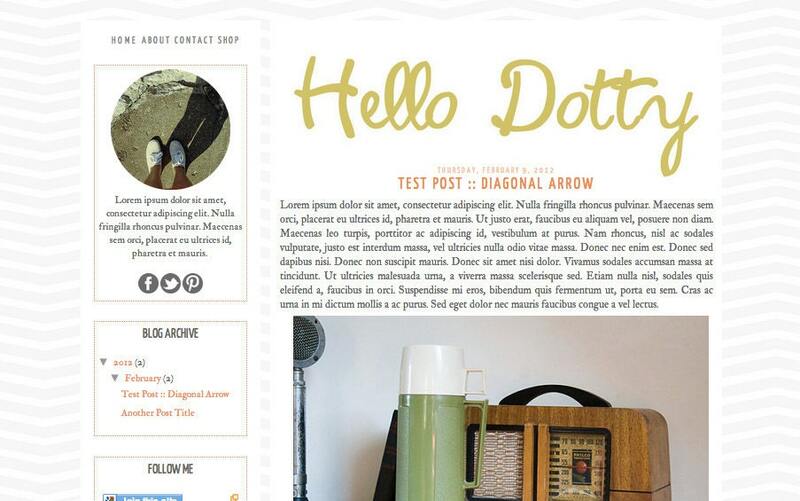 I like the idea of mixing & matching elements to help bloggers budget their blog design money. Buy purchasing a blog design, color upgrade, welcome image, + installation you come in at under $100 (if you purchase one of the most expensive templates - if you purchase one of the cheapest templates, you'll be at $69). 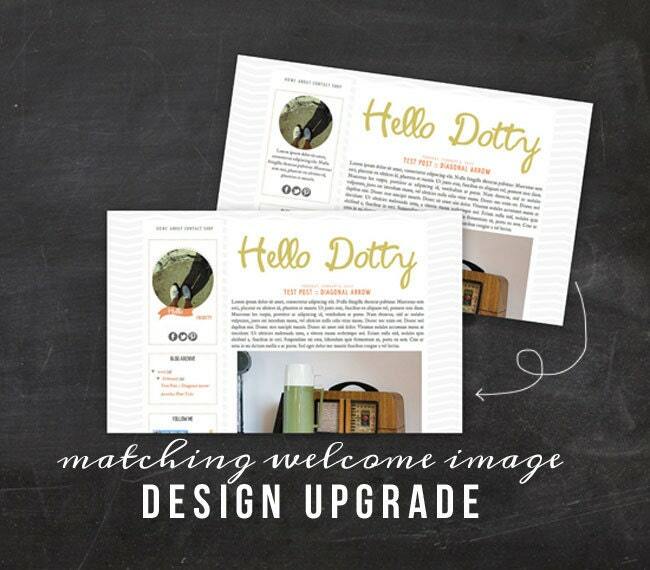 These upgrades make your blog comparable to the Full Blog Redesign I offer as a custom service for $250! No kidding! There's a bunch of html customization to set you apart from the Blogger templates & I pay just as much attention to the premade design as I do custom work. Personally, I am all about flexibility & availability: I want you to be able to afford something awesome! Really your work is too good. I really like this thanks for sharing this.